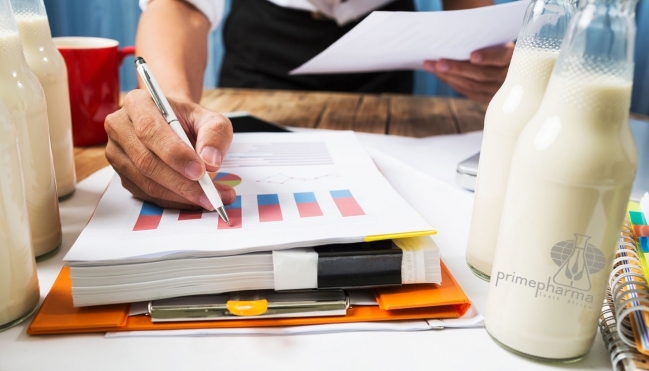 Just how accurate and easy is your milk analysis process? Commercial milk producers rely on milk analysis to ensure that the composition and condition of their milk is of a high quality level and meets the expectations of consumers as well as dairy industry regulations — it goes without saying that milk production should comply with South African Food Safety Standards and Regulations. To make your job easier, you need milk analysis equipment that ensures that your milk ticks all the right boxes. The quality of your milk is managed on many different platforms, from the milking and collection procedures to the storage and delivery methods. Part of this quality management relies on milk analysis to test for contaminants and a balanced composition. The Milkana Multi Test Air provides farm-to-fork small and medium-scale milk farmers a no fuss way to manage the quality of their milk. It’s quick:With the Milkana Multi Test Air analysis readings can be available in 90 seconds! It’s convenient: Fast results are viewed on the LCD screen and there is also an integrated micro printer.